Savvy Spending: Bruegger's Bagels: 3 Free Bagels on 2/2 if you sign up for the coupon! Bruegger's Bagels: 3 Free Bagels on 2/2 if you sign up for the coupon! 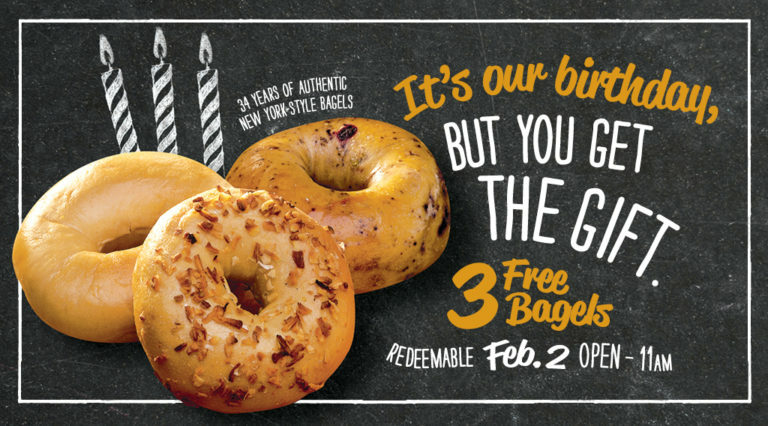 In celebration of their birthday, Bruegger’s Bagels will send you an email with an offer good for THREE FREE bagels that will be valid on February 2nd until 11 am! Just fill out the form to receive your coupon via email!